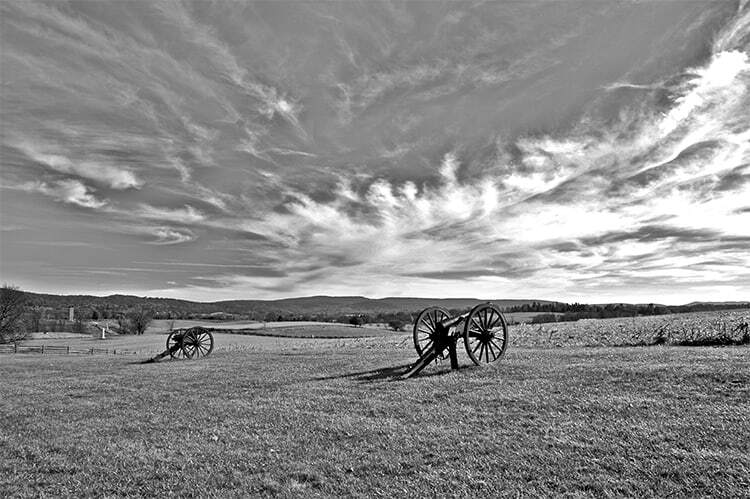 The Civil War Crucible of Freedom expedition explores the Antietam and Gettysburg battles as they shaped, more than any other in the Civil War, the destiny of freedom in America. In the space of about nine months, these fields, just 43 miles apart, saw the bloodiest day in American history and the largest battle ever fought on the continent. This expedition will take us back 150 years to some of the most crucial days of the Civil War where brother fought brother to determine America’s future as a beacon of freedom. 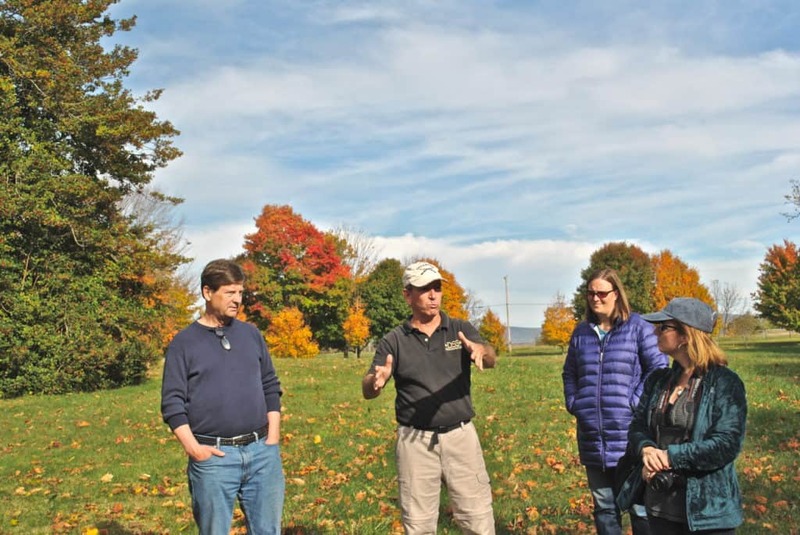 The beautiful foliage of South and Catoctin mountains will enhance the journey as we visit these beautiful, pastoral scenes, so rich in history. The Antietam campaign, including the siege of Harpers Ferry and the battle of South Mountain, resulted in the blunting of General Robert E. Lee’s first invasion of the North and enabled President Abraham Lincoln to issue the Emancipation Proclamation. 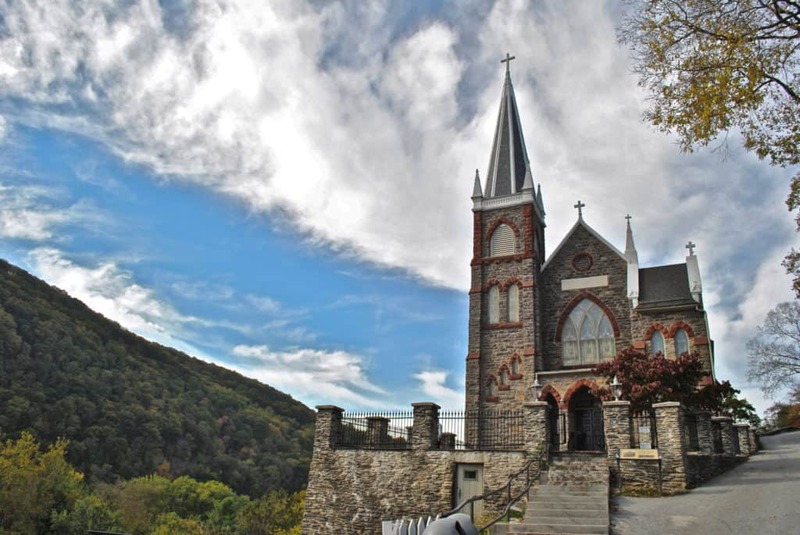 Some of the fabled sites we will visit include the Harpers Ferry National Historical Park with its exhibits on the industrial revolution and the National Armory, westward expansion, the Lewis & Clark Expedition, the Storer College/WEB DuBois Niagara Movement, and John Brown’s Raid among others. 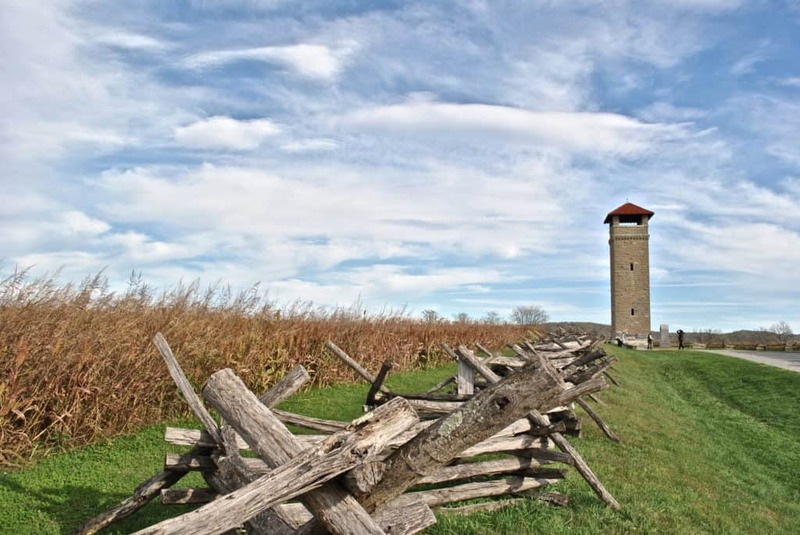 On the Antietam tour, we will visit iconic battlefield sites including the Cornfield, the East and West Woods, the Sunken or Bloody Lane, Burnsides’ Bridge and the National Cemetery. 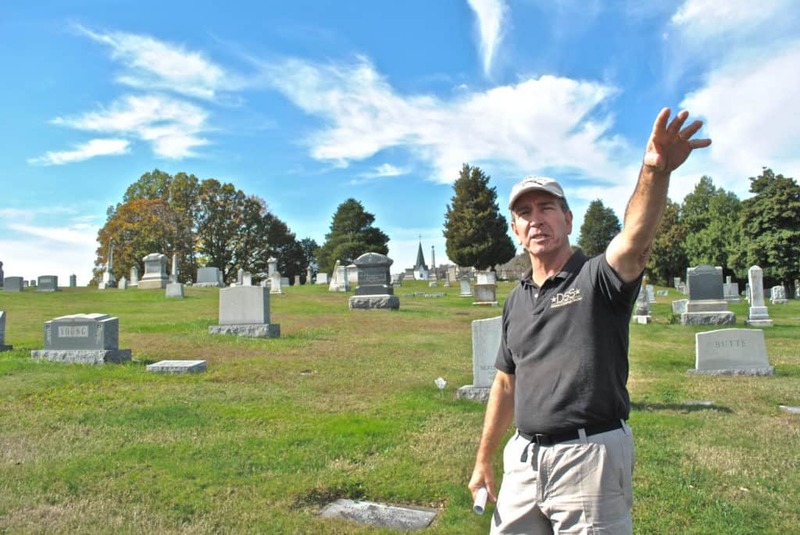 The battle of Gettysburg was a titanic, three-day engagement and we will visit famed sites including McPherson’s Ridge, Oak Knoll, Barlow’s Knoll, Culp’s Hill, Big and Little Round Tops, the Wheatfield, the Peach Orchard, and Cemetery Hill. We will take two extended hikes – one with John Bell Hood’s division in James Longstreet’s attack on 2 July and the second with George Pickett’s division in Longstreet’s Assault on the afternoon of 3 July. We will complete our Gettysburg guided tour in the National Cemetery where President Lincoln gave his dedication address that forever changed America. 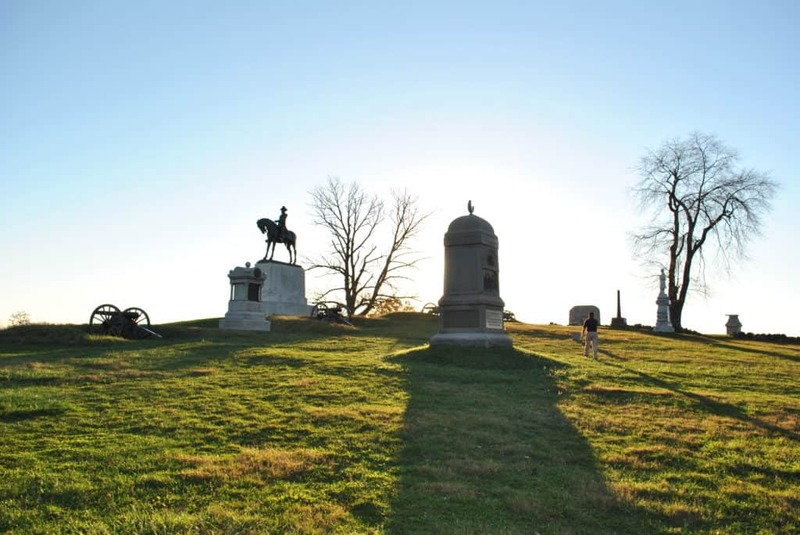 While the Antietam and Gettysburg battlefields are, of course, accessible to visitors on their own, fully understanding these seminal battles of the Civil War requires months if not years of preparation. A professional, guided experience is essential in comprehending the complexities of the events and their timing, specific locations and personalities. Tour guides are available though many companies. 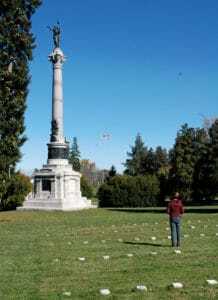 What sets Essential History Expeditions and Dr. Brian DeToy apart is his unique experience with 14 years as a university professor including teaching history and strategic studies at West Point, 28 years as a US Army officer with combat experience, and 23 years of leading more than 150 tours at Antietam and Gettysburg. Brian has led tours comprising military leaders, West Point professors and cadets, and business leaders of national companies. Brian’s combined experience as a scholar soldier brings the events on this hallowed ground to life. We will meet at the hotel near Gettysburg, likely the Antrim 1844 Inn in Taneytown (or comparable). Group Social Hour, welcome and overview of the expedition. Four-course dinner at Antrim 1844 Inn (or comparable). This beautiful brick home saw several Union corps march past on June 29, 30 and July 1, 1863. The commander of the Army of the Potomac, General George Meade, set up his headquarters nearby. Today, the building has gorgeously decorated rooms with soaring ceilings, a comfortable bar and a dining room with exquisite meals. Breakfast at the Antrim 1844 Inn (or comparable). 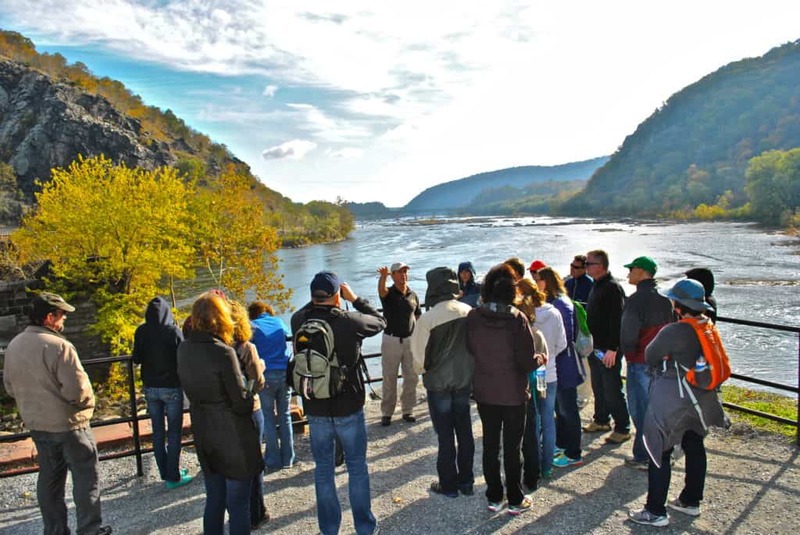 Travel to Harpers Ferry, West Virginia, a strategically important town at the confluence of the Potomac and Shenandoah rivers. Since the days of the early Republic this town has figured large in American history. We begin with a discussion of the American Civil War up to September 1862 – in essence, setting the stage in all ways – culturally, politically, militarily. 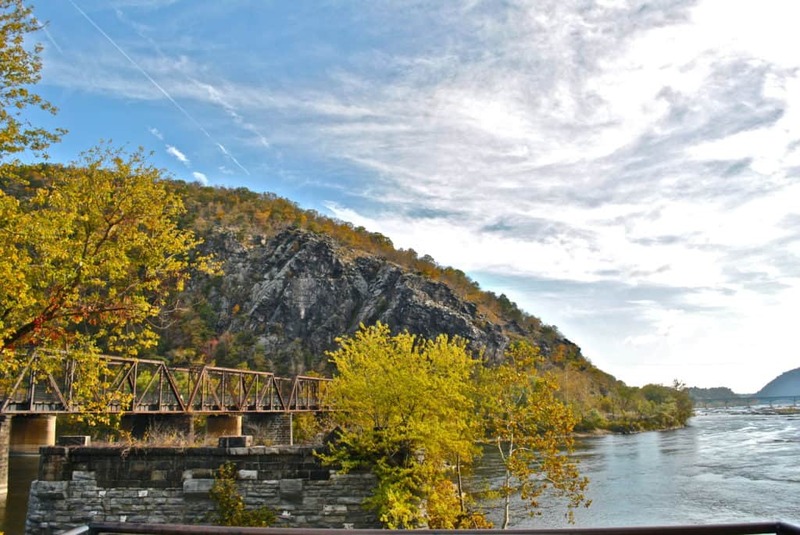 We then examine Harpers Ferry and its siege, 12-15 September 1862, from several vantage points above and in the town. This siege is a crucial part of Lee’s plan to invade Pennsylvania – he cannot leave such a large post in his rear, threatening his supply lines. He must capture it. And does. We leave time for your own exploration of this historic town, which is a designated National Historic Park. There is so much to see, with exhibits on the old US Arsenal and the early American Industrial Revolution, the outfitting of the Lewis & Clark Expedition, John Brown’s 1859 Raid, and WEB DuBois and the birth of the Niagara Movement at Storer college, among other topics. Next, we visit the long ridge where the Battle of South Mountain is fought on 14 September. This day-long fight is a holding action by Lee to allow his widely separated units to converge west of the mountain. By nightfall, the ridge is in Union General McClellan’s hands. Our lunch is in Washington Monument State Park, with spectacular views overlooking the richly verdant Cumberland valley, one of Lee’s objectives in the campaign. The nation’s first completed monument to George Washington’s memory is on the overlook. Our afternoon is spent examining the fields of the 17 September Battle of Antietam. We follow the Union army’s attack in chronological order as it proceeds from the northern Cornfield, through the West Woods and the aptly named Bloody Lane and down to its late afternoon conclusion in the fighting around and beyond Burnsides’ Bridge. This is the single bloodiest one-day fight in American history and the stories we will share will bring that experience to life. Finally, we will visit the National Cemetery to discuss the results of this critical campaign. President Abraham Lincoln is able to issue the Emancipation Proclamation due to this Union victory. This changes the nature of the war. Learn why and how. Back at our luxurious Antrim 1844 Inn lodgings, we will enjoy a social hour and unwind after the day’s activities. A Four-course dinner at Antrim 1844 Inn completes the day. Breakfast at the Antrim 1844 Inn. 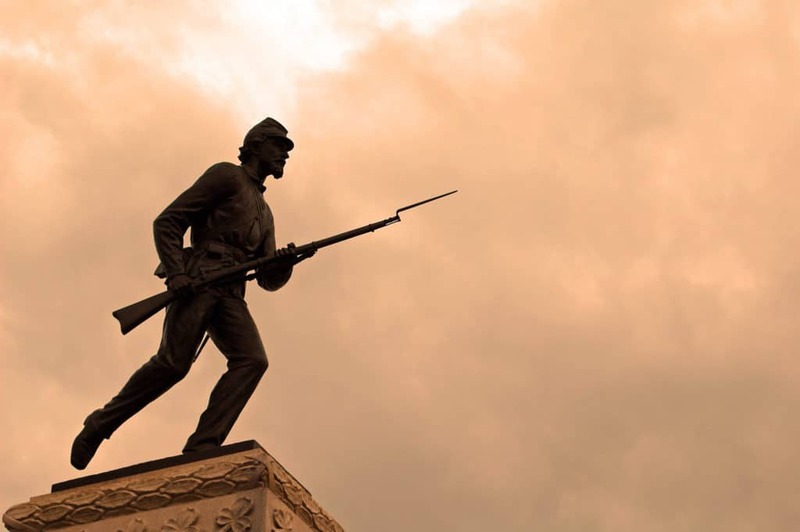 We begin the day with a discussion of the American Civil War from the September 1862 Antietam campaign through all the major events leading up to the June 1863 Gettysburg campaign. The war in the West, with Grant and Sherman closing in upon Vicksburg, is exerting a pull on the Eastern theater. Lee’s decisive May victory at Chancellorsville, sets the stage for the next act. We spend the morning examining the opening first day of the battle of Gettysburg, 1 July. Because Lee and the Confederates have the initiative, we will follow their lines of attack from the West and the North of town as they converge on the Union forces defending places like McPherson’s Ridge, Oak and Barlow’s knolls and Cemetery Hill. 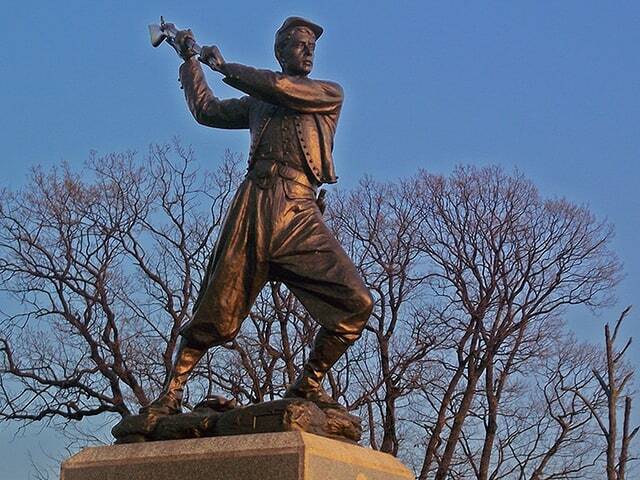 We see it all, from Union cavalry commander John Buford’s epic morning stand on through the day until the rebels have pushed through the town and face the heights of Culp’s and Cemetery hills. After we drive the route of General Longstreet’s critical southward maneuver on the afternoon of July 2, we will have our lunch right on the Gettysburg battlefield, on Warfield Ridge, where the Confederates will launch their 2 July attack. Our afternoon is spent exploring the ground of the second day of the Battle of Gettysburg, 2 July. 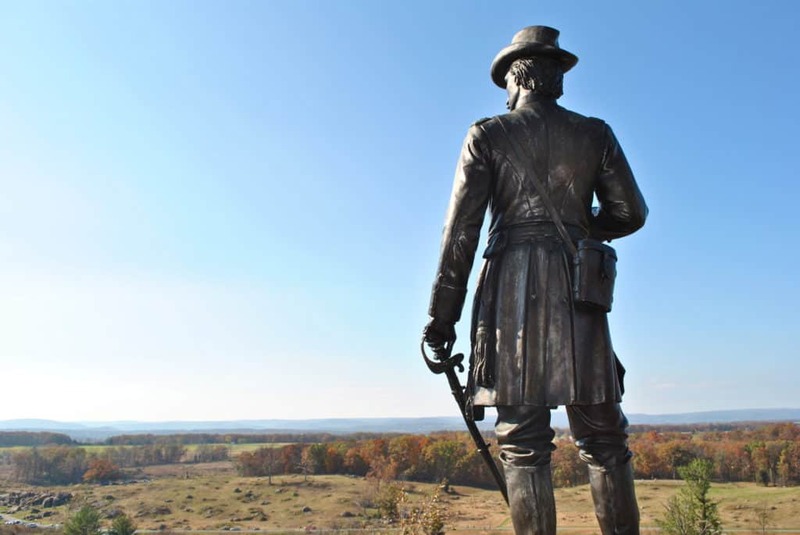 We will follow the assault of General Longstreet’s corps as it attacks into justly famed places as the Devil’s Den, Little Round Top, the Wheatfield, the Peach Orchard and more. The incredible courage displayed by both sides in the war is on full display in these engagements and we will bring it to life with vignettes that speak to the heart of America. We will enjoy a social hour in downtown Gettysburg, relaxing and contemplating the day’s events. Then, it’s dinner at the famed Revolutionary-era Dobbin House, a building from 1776 that also served as a way-station on the Underground Railroad. Our final morning is spent walking the ground of the climactic third day of the Battle of Gettysburg, 3 July. We start with the rebel failure to capture Cemetery Hill on the evening prior and the subsequent failure at Culp’s Hill that morning. We then move across the battlefield to join Longstreet’s Assault on the afternoon of the 3d. We will walk with George Pickett’s Division as they cross the mile-wide open fields toward the Union lines on the high-ground of Cemetery Ridge. After a discussion on the stone wall at the famed High-Water Mark, we move to the National Cemetery where, in November, President Lincoln’s short address brought meaning to this battle, the bloodiest of the war. His words, dedicating our country to “a new birth of freedom” echo down through the ages. After time to walk the hallowed grounds, we will return to our lodging and this Crucible of Freedom guided tour is complete. Let’s set up a conference call! We would love to chat with you to answer any questions you may have. 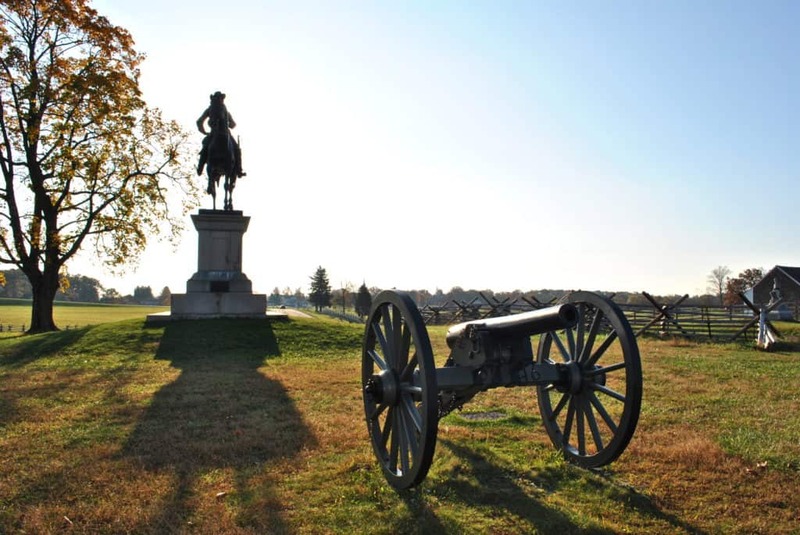 All active duty and career retired military, current and career retired educators, and students receive a 10 percent discount on the Gettysburg tour. All repeat Essential History Expeditions guests receive a 10 percent discount on all future expeditions. We require a minimum of 10 guests to run an expedition; if fewer than 10 guests, we may operate with Essential History Expeditions’ discretion.